Most disaster research has focused on business recovery at a point in time or over a short period of time, with the goal of summarizing the experience to reduce business vulnerability in future disasters. However, studies on long-term business recovery processes may be more useful for providing lessons that support sustained business operations after a disaster. 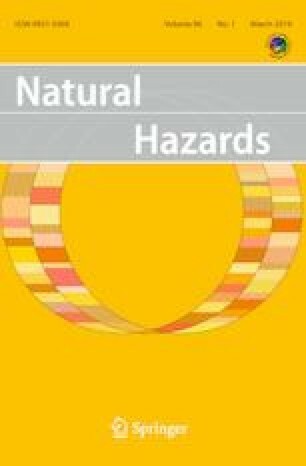 This study considers the changes in business’ operating statuses following the initial survival of a large earthquake and examines how different factors influence sustained business operations during the long-term recovery after a disaster. The study uses logistic regression techniques along with field investigations and questionnaire data collected from 256 New Beichuan businesses that remained open following the 2008 Wenchuan earthquake in China. The study results showed that some of the original surviving businesses closed during the subsequent post-disaster operation process. As such, identifying businesses reopening after the disaster cannot be equated with long-term recovery. Factors significantly influencing the sustained operation of a business after the Wenchuan earthquake included: pre-disaster financial conditions, post-disaster monthly average profit, borrowing of money from family or friends, the business owner’s gender, and government subsidies. Study findings have important theoretical implications for research on the long-term recovery of businesses after an earthquake. Findings also have practical value for business owners selecting post-disaster sustainable operation strategies. The author is deeply indebted to the following research funding sources: (1) National Social Science Fund of China (Grant No. 11XZZ001); (2) Chongqing University Postgraduates’ Innovation Project (Grant No. CYB15005).